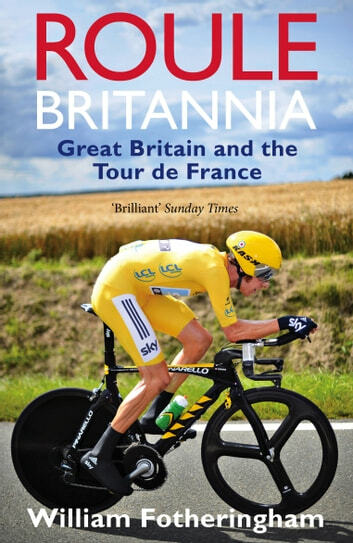 How did Great Britain conquer the Tour de France? In 2012 Bradley Wiggins made history by becoming the first Briton ever to win the Tour de France. His compatriot Chris Froome came second while fellow Brits, the 'fastest man on earth' Mark Cavendish and reformed doper David Millar, made sure that between them Britain accounted for 7 of a possible 21 stage wins. The golden era of British cycling had begun. In Roule Britannia, number one bestselling author William Fotheringham, charts British cycling's rise to the top and provides us with the definitive account of the nation’s Tour de France achievements through exclusive interviews with and profiles of cycling champions - from the early days of Brian Robinson to Bradley Wiggins's dominant ride via Tom Simpson, Robert Millar, Chris Boardman and many others, Roule Britannia celebrates a nation's love affair with the greatest race of all.